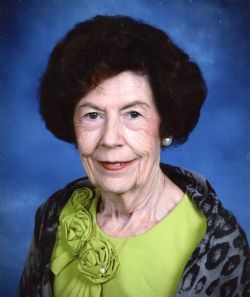 On Monday, March 25, 2019, Frances Ruth Inman Faulkner of Lake Jackson, Texas passed away at the age of 83 in New Braunfels, Texas. Frances was born on April 24, 1935, in Sherman, Texas to Thomas Virgil and Lorene (Malcolm) Inman. She received a Bachelor of Science degree in Elementary Education from Mary Hardin-Baylor College in 1957. She also attended Texas Tech University where she was a member of the Gamma Phi Beta Sorority. During her years at Tech, she met Bob her husband of 49 years. They married on July 18, 1958, in Midland, Texas. Mrs. Faulkner was a passionate and caring teacher. She began her thirty-two year teaching career in 1957 at Fannin Elementary School in Midland, Texas. She then went on to teach in Odessa and Texas City before finding her home with the faculty at Bess Brannen Elementary School in Lake Jackson in 1970. During her 25 years at Bess Brannen, she taught mostly third grade and made a positive and lasting impact upon her students. After her retirement in 1995, she was active with the Daughters of the Republic of Texas holding several officer positions with the Cradle of Texas Chapter and the statewide organization. During the next 15 years, she enjoyed traveling to meetings across the state and making new and lasting friendships. Frances and Bob enjoyed their retirement years traveling together, visiting family, and researching their genealogy. After Bob’s death in 2006, Frances remained involved with her church and social activities in Lake Jackson until 2016 when she moved to New Braunfels to be closer to her family. The Faulkners were members of First Baptist Church of Lake Jackson for 46 years. They were active members of the Adult Sunday School Group where they made many of their closest and dearest friends. Frances was preceded in death by her husband, Charles Robert Faulkner (Bob), and her brothers, Thomas Inman and Michael Inman. She is survived by her sisters in law, Mona Inman of Corpus Christi and Judy Inman of Richmond, Texas, also by her loving son, John Robert Faulkner, his wife, Nina, and their two children, Nathan Robert Faulkner and Allie Marie Faulkner all of Austin, Texas. A funeral service will be held at First Baptist Church of Lake Jackson on Thursday, April 4, 2019, at 10:30 AM. Burial will be at Goldthwaite Cemetery in Goldthwaite, Texas on Saturday, April 6, 2019, at 11:00 AM. In lieu of flowers, the family asks that donations be made to the Daughters of the Republic of Texas; Cradle of Texas Chapter Scholarship Fund. Donations should be sent to Charlene Buck, Cradle of Texas Chapter, 6918 Mountain Creek Lane, Missouri City, TX 77459-5782. or call 979-299-0777.